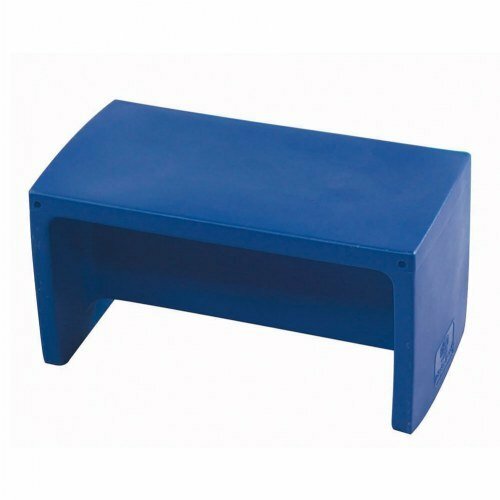 Blue Adapta-Bench® by Constructive Playthings at Indsight. MPN: CF910-029. Hurry! Limited time offer. Offer valid only while supplies last. Use our indoor/outdoor molded polyethylene Adapta-Bench(R) as a rectangular play table, 2 seat sofa with reversible 6'' and 9'' seats, or as a 15'' H.
Use our indoor/outdoor molded polyethylene Adapta-Bench(R) as a rectangular play table, 2 seat sofa with reversible 6" and 9" seats, or as a 15" H. bench for adult seating. Bench arms are safety radiused. 15" Sq. x 30" L. Ships F.O.B factory. Allow 4 to 6 weeks for delivery. 15"" Sq. x 30"" L.